Acoustic pods are not new, but acoustic hubs are. The difference between a pod and a hub? Put simply, an acoustic hub is more than just a meeting room: there is an acoustic pod within a hub, but a hub can be used inside and out, can be extended with outer whiteboards and seating, and can be wrapped with an acoustic perimeter. 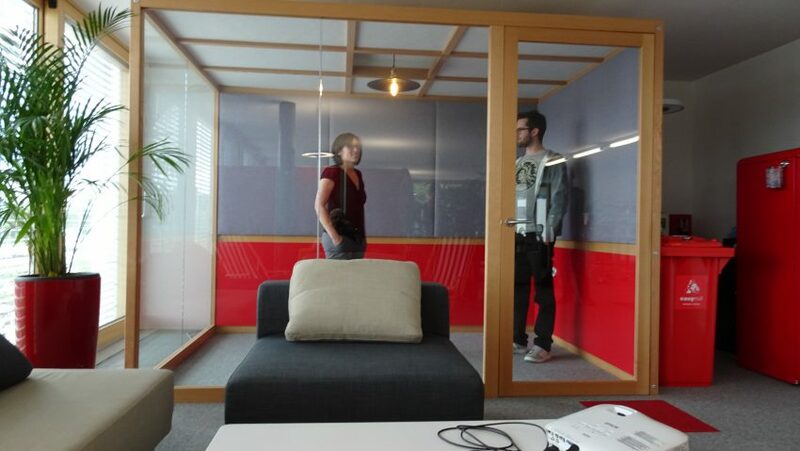 Not only that, they are modular units providing quiet meeting rooms which are easily portable. What we have noticed about the Hubs is that, in any environment where they have been installed, they have created a hubbub of interest and excitement. 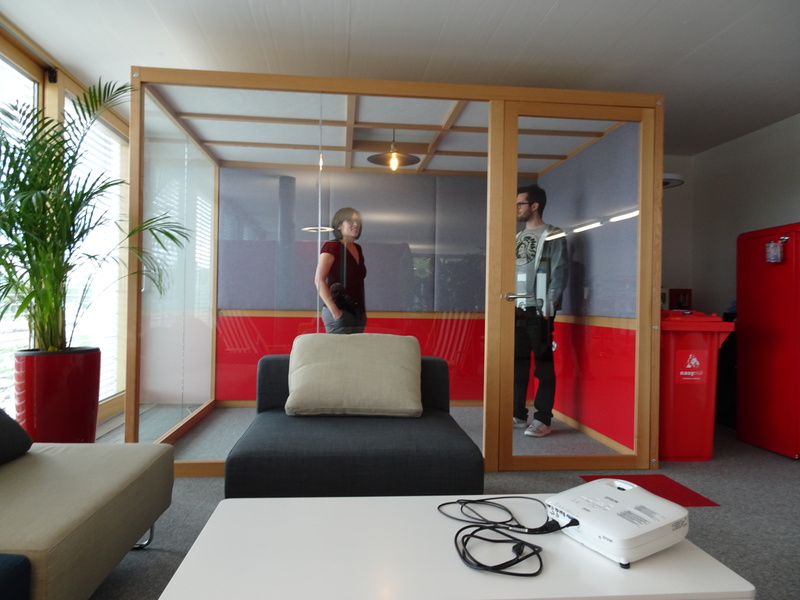 The installation of three Hubs in the offices of Webrepublic, Zurich, was no exception. Webrepublic, a quickly growing new-media company needed three Hubs to create more space to work and meet within their multi-functional offices. Their young, highly talented team have found that the Hubs create the ideal quiet work space for breaking away from their ‘regular’ workspace – perfect for working quietly in an ‘area within an area’. In a dynamic company like Webrepublic, offices become multi-functional rooms where almost anything can happen – from Nerf wars to training Padawans to concerts! With a reverberation time of less than 0.4 seconds, the Hubs are ideal for one-to-one meetings. It was observed that the newly installed Hubs give enough noise absorption to allow private discussions with colleagues, and they effectively block sound coming from outside (even while a concert was being conducted in the main room!). That’s the kind of endorsement that makes us happy!